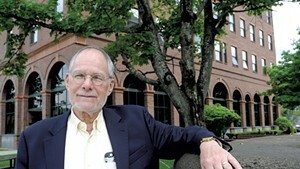 When the fledgling New England Coalition on Nuclear Pollution went looking for a lawyer 46 years ago, they turned to Tony Roisman, a young Dartmouth College- and Harvard Law School-educated attorney already known as an expert on nuclear regulation. Roisman's challenge of the operating license for the new Vermont Yankee nuclear power plant didn't succeed, but the coalition was impressed nevertheless. "He was remarkable," said Diana Sidebotham of Putney, cofounder of the antinuke group. "One doesn't win these things, exactly," she added. "We are sure that we made [Vermont Yankee] somewhat less dangerous ... Tony is thorough to a fault, knows his subject well and does not leave a stone unturned." Plus, she said, "He's really nice to work with." In his 50-year career as an environmental lawyer, Roisman has held nuclear power plant operators accountable, sued polluters over contaminated water supplies and protected whistleblowers. In recent years, he has also represented Vermonters fighting industrial-scale wind energy projects on the state's mountaintops. So when Republican Gov. Phil Scott named Roisman the state's Public Service Board chair on June 1, renewable-energy fans were conflicted. Were they getting an environmental champion or someone who will help Scott meet his goal of halting ridgeline wind development? "There's no doubt he is a top-notch legal mind," said Paul Burns, executive director of the Vermont Public Interest Research Group, which is antinuclear and pro-wind. "What's discouraging is, he also happens to be opposed to wind." Roisman started work Monday as the chair of the powerful PSB, which regulates how much electric utilities can charge their customers and decides whether telecommunications and energy projects can be built. As the full-time chair of the three-member quasi-judicial panel, Roisman hires the board's staff and sets its agenda and tone. During an interview June 6 in the dining room of his Weathersfield home, Roisman was frank about his personal opposition to ridgeline wind development. His distaste for such projects came long before he and his wife, physician Gabriele Popp, moved from New Hampshire to Vermont and built a house with sweeping mountain views three years ago. 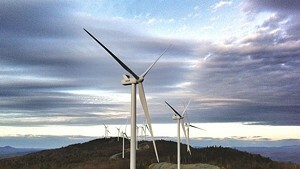 From his living room window on a clear day, he can see turbines turning atop a distant New Hampshire ridge. He doesn't give them much thought, he said. Small-scale wind turbines to power a home or an industrial park are acceptable, he said, and larger projects have their place. "Wind turbines out in Oklahoma are just fine," the Sooner State native said. But in Vermont, unspoiled mountains are central to the state's identity, he said. "My personal view is, I don't think high ridgelines in Vermont are the appropriate place to put wind turbines," he said. At 79, he has the trim build and energetic demeanor, as well as the quick, retentive mind, of a much younger man — he reeled off Sidebotham's phone number from memory though they haven't spoken in years. Retirement, he said, has never been on his agenda, though he enjoys hobbies that include golf, home-improvement projects and caring for six cats. In recent years, he has worked as a consulting attorney. In January, he helped win a case on behalf of a group of residents opposed to a 340-acre solar project in Maryland that he said was just too large for a prime agricultural area. Roisman seemed unfazed by the fact that, at just short of 80 years old, he has taken a job with a six-year term. "This comes at a good time for me," he said without a hint of irony. The new job might cut into his weekday golf games, but what really drives Roisman is navigating complicated legal conundrums. 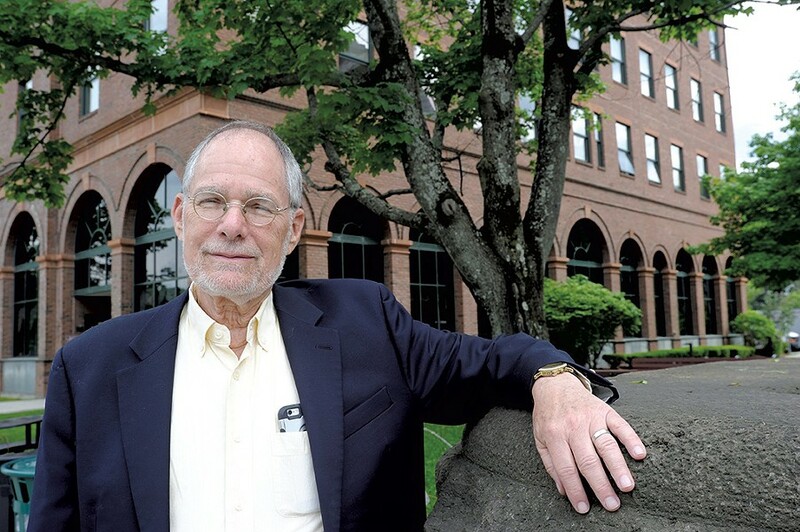 After a brief stint as a tax lawyer in the mid-1960s, he spent the bulk of his legal career specializing in environmental law for the government, for nonprofit organizations and in private practice. He moved from Washington, D.C., to New Hampshire in 1995 and continued to work on environmental cases as a consulting lawyer. "I really enjoyed tax law like I enjoy crossword puzzles, but I had no passion for it," he said. "Environmental law stimulated my passion for the issues and the clients." 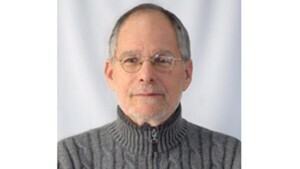 He described himself personally as a Democrat, a renewable-energy supporter and an energy-efficiency aficionado. Professionally, his work challenging the establishment has included high-profile national cases. The most famous involved contaminated water in Woburn, Mass., which was linked in the 1980s to a high rate of leukemia. The case became the subject of the best-selling book and movie A Civil Action. 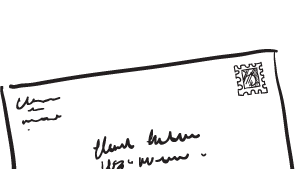 At the time, Roisman was the inaugural executive director of Trial Lawyers for Public Justice, a D.C.-based organization that was the brainchild of consumer advocate Ralph Nader. Roisman joined Massachusetts attorney Jan Schlichtmann in filing a lawsuit against the chemical company W.R. Grace, then took a back-seat consulting role. (He didn't make it into the movie.) The case, which ended with an out-of-court settlement, is widely touted as paving the way for subsequent environmental litigation. Other cases that challenged the system pepper his career: a 1983 lawsuit defending a fired nuclear power whistleblower; a 1999 case seeking damages for patients who died during experimental nuclear medical treatment; 50 lawsuits filed to force cleanup of toxic dumps while he was head of the U.S. Department of Justice's hazardous waste program. While such work makes him sound like a rebel with many causes, Roisman said he has never seen himself that way. Dressed in a button-down blue shirt and gray slacks, he hardly looked like a rebel. "I was never a 'movement' lawyer, in that sense. I didn't appear at rallies," he said. "There was not a lot of tie-dye in my wardrobe." But Roisman has shown a willingness to speak truth to power. After working in the justice department under Democratic president Jimmy Carter, the U.S. Chamber of Commerce put Roisman on a hit list of government lawyers the organization wanted fired. Nobody canned him, though; he quit after president Ronald Reagan took office. Then, in 1982, he went before Congress and took the president to task for lax environmental enforcement. He called Reagan's Environmental Protection Agency administrator, Anne Gorsuch, "nothing more than a pawn in Ronald Reagan's scheme to get the government off the back of industry, which translated to no enforcement of environmental laws and reduction of environmental regulatory standards," according to a United Press International news report. Asked about his long-ago statement, Roisman said, "I had forgotten about my firebrand youth." Even today, though, Roisman displays a willingness to stand up to authority. While talking about his own home's energy efficiency, he touted the state's Efficiency Vermont program, whose budget the governor has proposed cutting. Roisman didn't flinch when asked about the differences of opinion. "We don't answer to the governor, and he doesn't do what we ask him to do either," he said of the board. Those who've worked with Roisman describe him not as a firebrand but as an affable, clearheaded lawyer skilled at making the complicated sound simple. Sarah Hofmann, one of Roisman's fellow PSB board members, hired him more than 10 years ago as a consultant when she worked at the state Public Service Department. Hofmann needed a lawyer who had practiced before the U.S. Nuclear Regulatory Commission to help the state navigate Vermont Yankee's request for a power upgrade. "He does his homework," Hofmann said. "He can think through a lot of different possibilities and figure out how the different pieces are moving." "He's a brilliant attorney," echoed Kyle Landis-Marinello, a Vermont assistant attorney general who has also worked with Roisman on Vermont Yankee issues. "He's thorough in his evaluation of legal issues and has lots of experience in a variety of fields." Landis-Marinello recommended Roisman apply for the PSB chairmanship. Roisman had been unaware that outgoing chair Jim Volz's term was ending and the job was up for grabs. Three days before the deadline, Roisman looked at the online application. "It was like an aha moment," he said. "Aha, this will be something exciting to do." "When people retire, they leave something that they are tired of doing in order to do something they want to. I'm doing what I want to do," he said. "I've always liked challenges, and this is a good challenge." The state's Judicial Nominating Board vetted candidates, then sent recommendations to the governor, who interviewed the finalists. Scott revealed last month that all of the finalists shared his view that Vermont's ridgelines are inappropriate for large wind projects. "I just asked their views on wind. I haven't found anybody who necessarily disagrees with me on that," Scott said. "It certainly plays into my choice." Vermont renewable-energy advocates argued that a board chair should be open-minded. 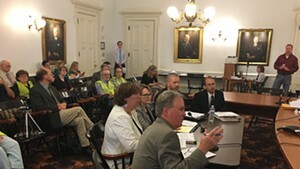 "What concerns me is that his personal position seems to have been some sort of prerequisite to the appointment," said Sandy Levine, senior attorney with the Conservation Law Foundation, which frequently has cases before the Vermont PSB. Scott insisted that wind was no litmus test. Roisman agreed, saying their discussion of wind energy was brief and didn't strike him as a telling moment. "We both agree that the ridgelines in Vermont are a precious resource," he said. Roisman has helped represent opponents of some of Vermont's largest wind projects, including those in Lowell, Sheffield and Deerfield. But he argues that past work — and his personal views on wind development — are irrelevant. His job is to follow the law and to make the board more accessible to the public, he said. Hofmann said that commitment won't be a stretch for Roisman. "For Tony, it's very true that he can separate the two things," she said. "He's a lawyer's lawyer. He looks at it like, 'How do these facts match up with this law?'" "If [wind developers] submit an application, they are going to get a full and fair hearing," Roisman promised. "I'm a huge believer in the rule of law ... Our job is to apply the law as it's written, not to apply it as we would have written it."